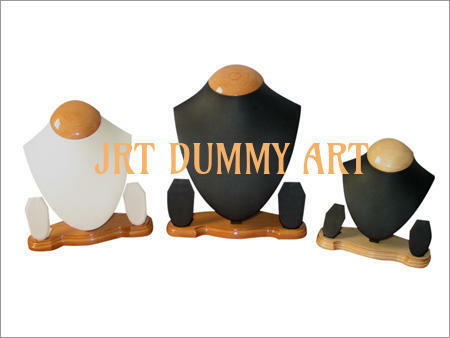 Manufacturer of a wide range of products which include neck display and bangles stand. We are a renowned name, which is engaged in delivering a comprehensive range of Neck Display. The offered range is developed utilizing high grade raw material and innovative technology in complete adherence with the international quality norms and standards. Along with this, the offered range is tested on different parameters to maintain its authenticity throughout the designing process. Looking for “Jewellery Display Forms”?